Kairavini karaiyinile - திரு அல்லிக்கேணி குளக்கரையோரம்: Thiruvallikkeni Irapathu day 5 - Thaipusam harvesting..
Thiruvallikkeni Irapathu day 5 - Thaipusam harvesting.. 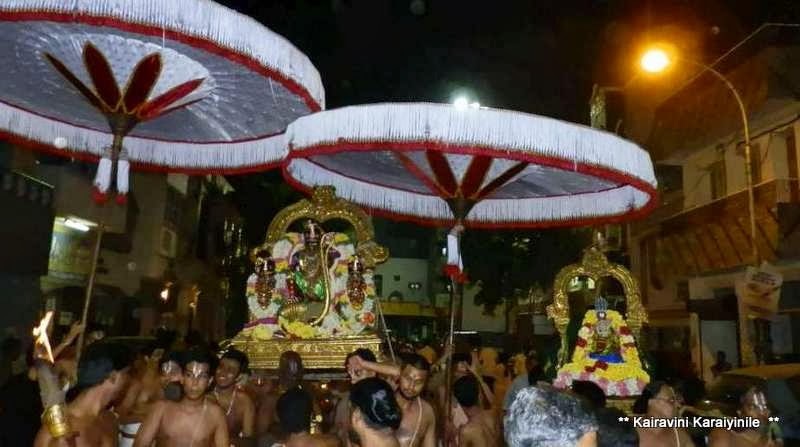 In the evening, it was day 5 of Irapathu Uthsavam and it coincided with Thaipusam. 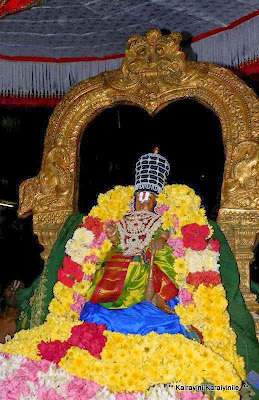 Today Sri Parthasarathi had periya maada veedhi purappadu in ‘Kaalinga Narthana thirukolam’ accompanied by Senai Mudalvar and Swami Nammalwar. 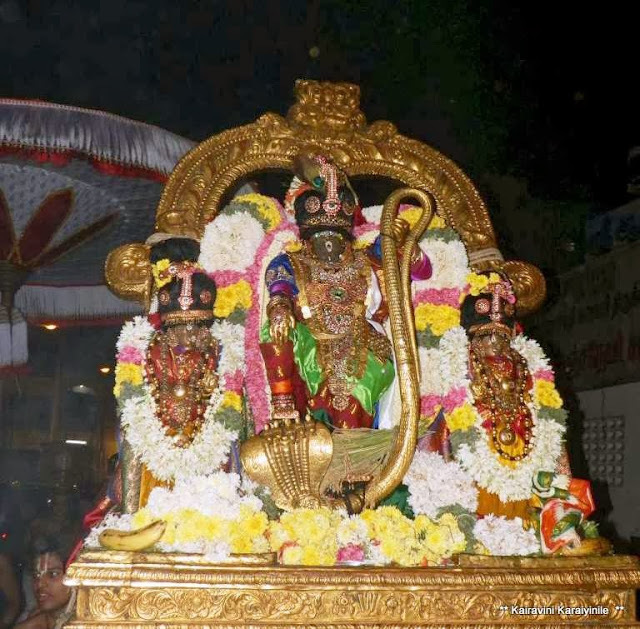 At Thiruvallikkeni divyadesam, traditionally on Thaipusam day, Sri Parthasarathi visits Big Street – the long winding Veeraghava Mudali Street – which now a days is more of a lane than a Big street…. 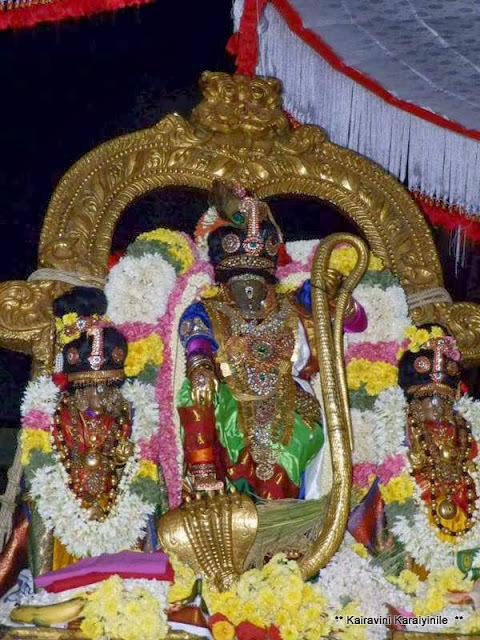 This is the Uthsavam where Perumal collects the harvest from His field. (kadhir aruthal). By every probability, more than a century or two ago - the junction of Big Street, Pycrofts road, might have represented the border of the locality and perhaps the area thereafter could have been opulent rice fields………… now it is maze of buildings in small lanes and by-lanes where people jostle for space. 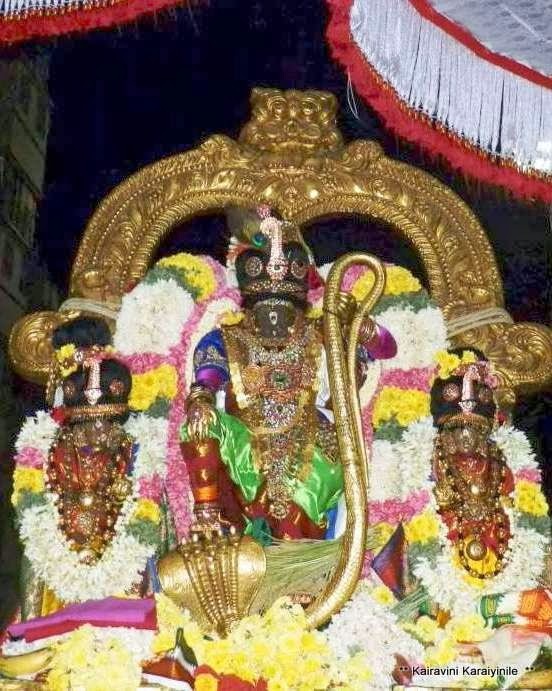 There was a small pandal put up at the Junction where Perumal halted for a brief-while and a reap of paddy was placed before the Lord, then at His feet. 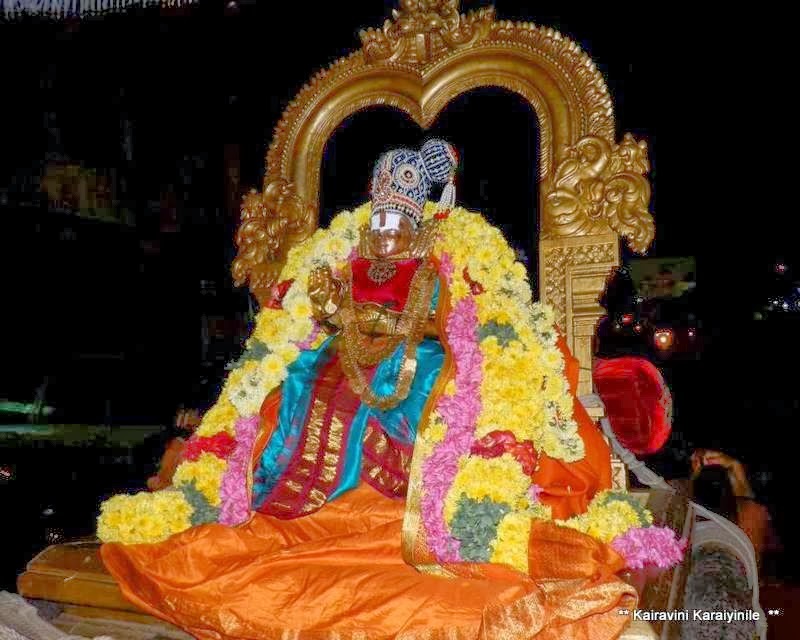 The rice grains so placed were distributed to the devotees too…….. Here are some photos taken during the purappadu at Thiruvallikkeni.